This program is a condensed version of our full Defensive Driving Program and contain all the course information from that course. 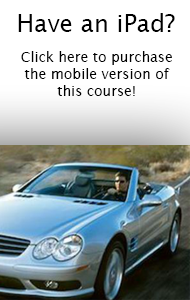 It is an excellent course for those wanting a quality defensive driving course online. SAFER stands for Space, Attitude, Foresight, Eyesight and Responsibility. A certificate and/ or wallet size card are available to successful participants.